“What do you mean?” I whispered back. “Doesn’t it kinda look like a TV movie to you?” she replied. My answer as I squint at the screen; “Well, yeah…now that you mention it, it does.” In fact, earlier on I noticed some scenes that I recognized from The History Channel’s 10 hour mini-series “The Bible”. And there’s an excellent reason for that. 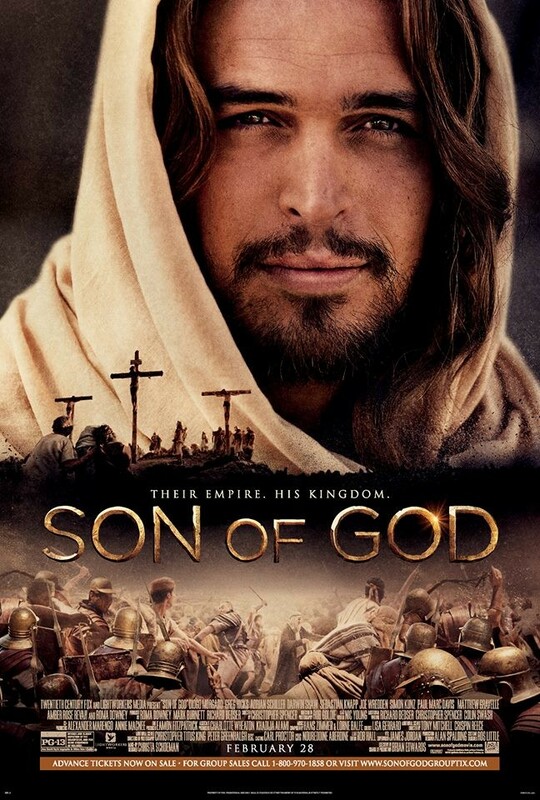 SON OF GOD is a theatrical movie edited from the Jesus Christ episodes of the mini-series. Some extra scenes were shot, sure. But for all intents and purposes, if you’ve seen “The Bible” mini-series on TV then you’ve pretty much seen SON OF GOD. This is a movie about Jesus Christ that is firmly and clearly made for true believers of the Christian faith and is not interested in being a revisionist or controversial re-telling. There’s no artistic vision or eccentric casting at work here as there was in Martin Scorsese’s “The Last Temptation of Christ”. 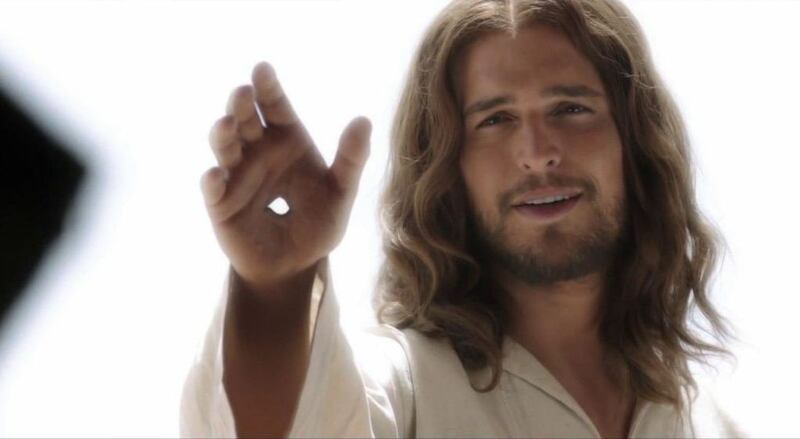 That movie dealt with the doubts Jesus had about his life work but Diogo Morgado’s Jesus Christ is not doubtful or conflicted one little bit. He embraces his mission with a willing heart and warm smile. 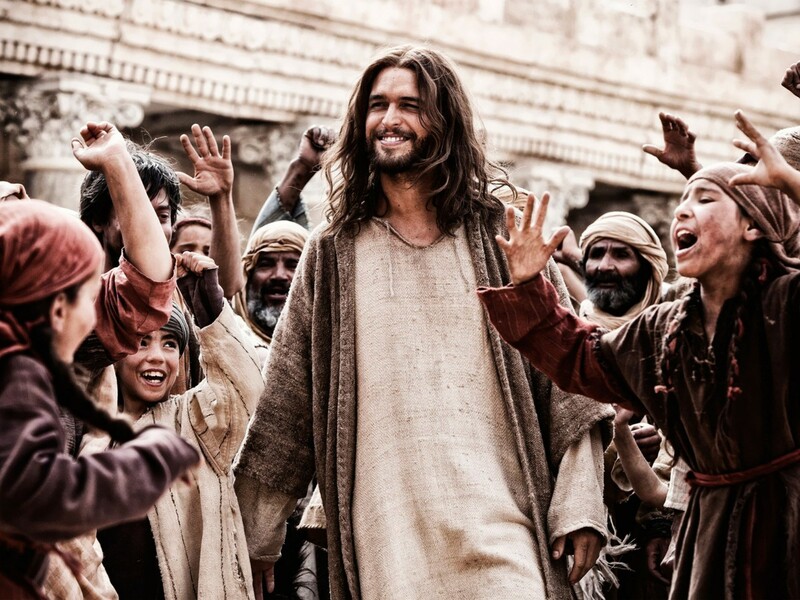 Morgado is extremely likeable as Jesus Christ. He’s no Jeffrey Hunter but he gets the job done and is a very convincing Jesus in his humility and accessibility to all. I got a huge kick out of a scene where he comes to a village and the kids squeal over him as if he were Justin Timberlake. SON OF GOD is very straightforward about telling it’s story in a no-nonsense manner that doesn’t leave any room for surprises as we all know how the story ends. And it does it in a manner that could almost be called ‘Jesus Christ’s Greatest Hits’. The movie doesn’t get into his relationship with John The Baptist at all. The Sermon on the Mount which was depicted in such a magnificent manner in Nicholas Ray’s outstanding “King of Kings” is actually kinda dull here. But we get Jesus walking on water. We get Jesus feeding the multitudes and raising Lazarus from the dead. But we barely get time to marvel at these miracles before we’re rushed to the next one. It’s as if the movie wants to speed right past the preliminaries and get to the main event: Jesus Christ’s arrest, trial, torture and crucifixion. It’s not presented in as graphic a manner as Mel Gibson’s “The Passion of The Christ” but it’s still plenty gory and wince-inducing. The movie ends on a strong inspirational high with the resurrected Jesus instructing his disciples to go into the world and preach the gospel. 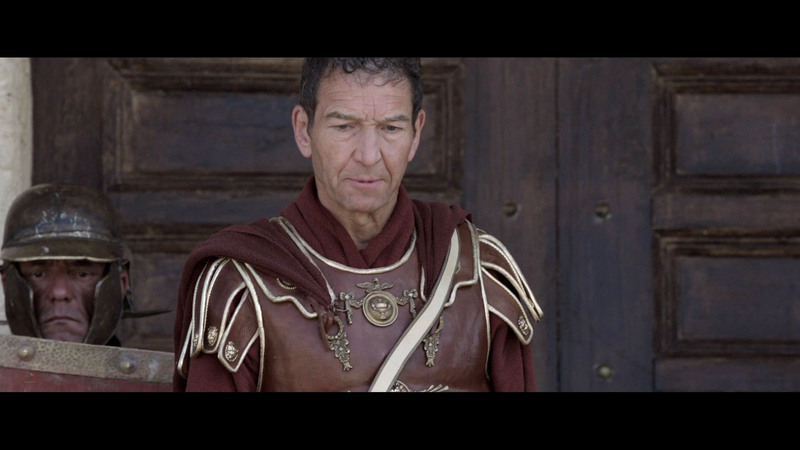 If SON OF GOD distinguishes itself from other film biographies of the life of Jesus Chris it’s in how it delves a little deeper into the political and racial conflicts between Romans and Jews as represented by Pontius Pilate (Greg Hicks) and Caiaphas (Adrian Schiller) instead on on the actual teachings of Jesus. How would I rate it compared to other movies about Jesus Christ? Well, my favorites are always going to be “King of Kings” starring Jeffrey Hunter which for me is the definitive film about Christ and “Jesus Christ Superstar” I’ve always found “The Greatest Story Ever Told” way too ponderous and dull. Franco Zeffirelli’s “Jesus of Nazareth” is probably the most comprehensive of all movies made about Jesus. I like and appreciate “The Last Temptation of Christ” for its audacity in exploring an alternate reality where Christ lives out his life as a mortal man. I’d rate SON OF GOD somewhere around “Jesus of Nazareth” as it’s sorta like The Reader’s Digest version of that mini-series. SON OF GOD isn’t interested in trying to be controversial or daring or challenge your beliefs about Jesus Christ. It simply presents its story with conviction and performances that serve the needs of the material and no more. It’s not light entertainment but if you’re a Christian you’ll be pleased to know that this is a movie about Jesus Christ that celebrates his life and his message in a reverent and respectful fashion. Enjoy.